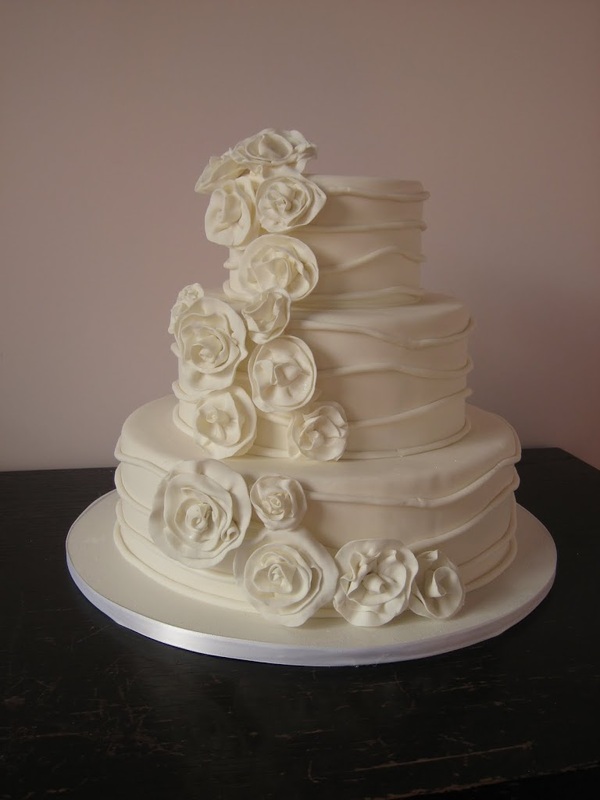 Most clients come to me these days wanting to showcase strong colors or matching theme colors, but there is something to be said for the traditional all white or ivory cake. 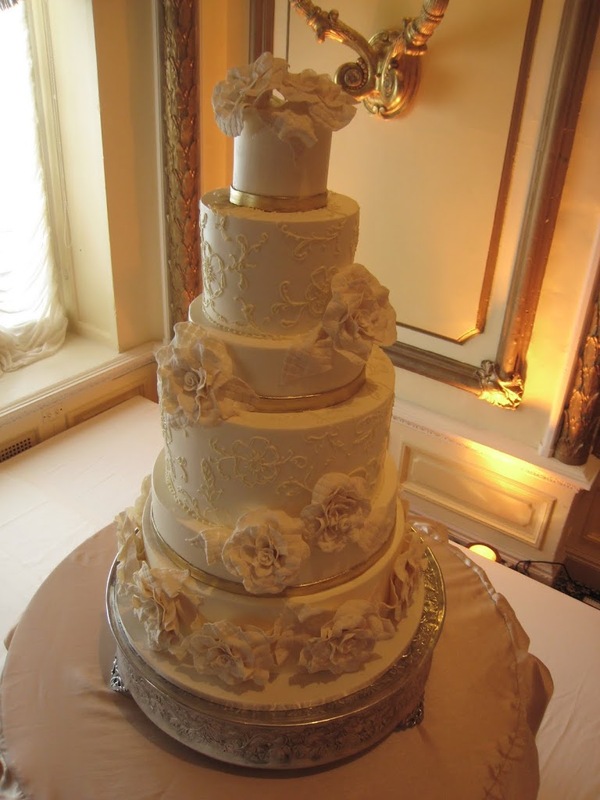 Sometimes you only need a small hint of an accent color, like the navy and beige cake above, or you can create a lot of texture with piped patterns, flowers and bow. Just because it may not have a lot of color doesn't mean it's boring. I think all these cakes make quite a statement!